Venezuelan President Nicolas Maduro has accused President Obama of promoting ongoing protests in the country, and of backing members of the opposition alleged to be behind violence. 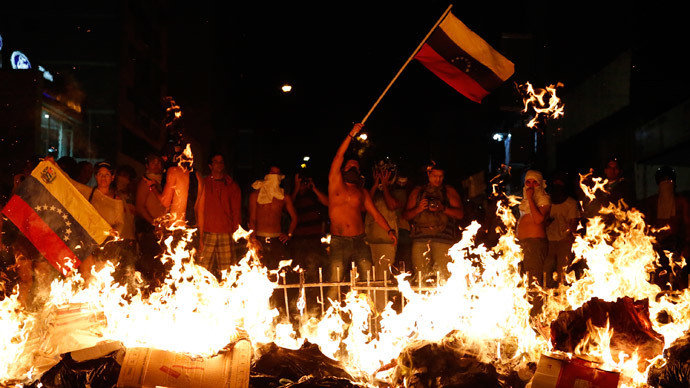 The new accusations come amidst a spike in the unrest that has gripped Venezuela, with some six people killed since demonstrations mounted by the opposition turned violent last week. Wednesday night saw sporadic clashes between demonstrators in the capital of Caracas, the majority of which are middle class students who are frustrated with the country’s sputtering economy and soaring crime rate, and are seeking a regime change. Maduro, who was elected last year as the heir apparent following the death of long-time President Hugo Chavez, has accused the opposition of fomenting a coup and inciting violence. 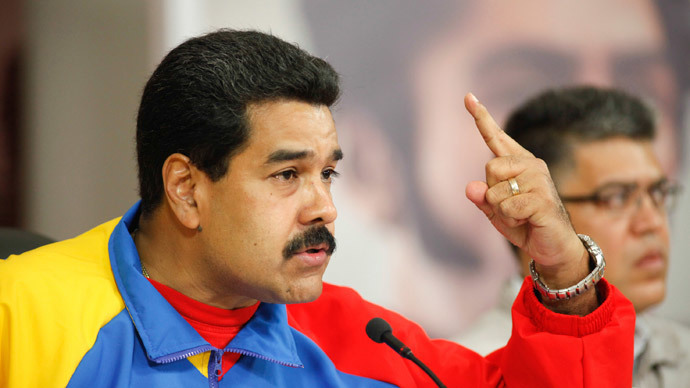 "There is an international campaign to justify a foreign intervention in Venezuela," Maduro said on Wednesday. Members of the Venezuelan opposition have appealed to the international community over what they say was a tainted election, though little has been presented in the way of evidence of electoral impropriety in what was a closely contested runoff. Spearheading that effort has been Henrique Capriles, the opposition's two-time losing presidential candidate. Lopez, the Harvard educated 42-year-old leader of the Popular Will party and a former mayor, is being held responsible for the casualties that have resulted as demonstrators continue to clash with government forces. "I said, 'Send him to jail,' and that's what happened and that's what will happen with all of the fascists. 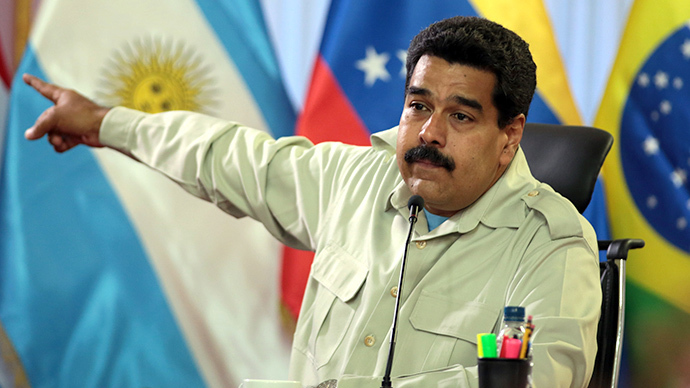 I won't allow him to challenge the people of Venezuela, the constitution,” said Maduro shortly after his arrest. 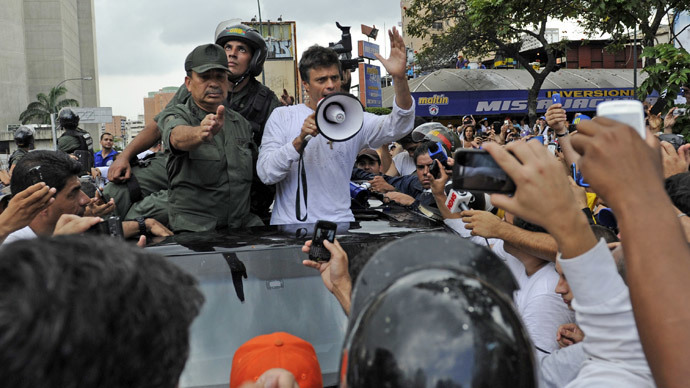 Lopez is being held in Caracas' Ramo Verde military jail on charges of fomenting the violence. According to his lawyers, prosecutors have dropped the most serious charges of murder against him. Related to allegations of international meddling, Venezuela recently blocked broadcasts by Colombian based NTN24, and on Thursday Maduro warned US broadcaster CNN that it would be booted from the country if it did not "rectify" its programming, which was described as propaganda. "I asked the minister of Communications, Delcy Rodríguez, that she notify CNN that the administrative process of removing them from Venezuela has begun if they do not rectify (comply). CNN will leave Venezuela. Enough of the war propaganda," said the Venezuelan leader.